Did someone say National Ice Cream for Breakfast Day? Yes, yes we did. There's just something about SoMa. From brick oven pizza to fiddle leaf figs, nearly every member of our team mentioned a love for the South Main neighborhood. It's Super Bowl weekend! So we want you to "kick off" February with lots of family fun. 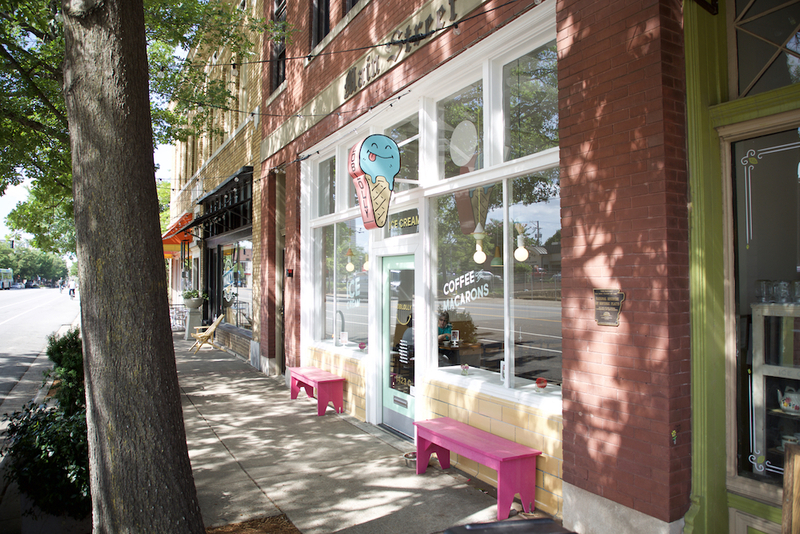 National Ice Cream for Breakfast Day at Loblolly Scoop Shop: Loblolly Scoop Shop will be opening early at 9 a.m. a true breakfast experience. Enjoy cereal milk ice cream, cold brew coffee floats, and sundaes made with Will's Cinnamon Shop cinnamon rolls! Pajamas are encouraged. Swing by from 9 a.m.-noon to join in on the fun and click here for more details. Love Groundhog Day at the Little Rock Zoo: Instead of waiting for a groundhog to look for his shadow, experience the first ever public flight of the Little Rock Zoo macaws! The newest addition to our Zoo Program, they've been in training for public flight. These beautiful birds will let us know if we will experience more winter by flying to our Ice Queen or if we should get ready for warmer weather by flying to our Princess of Fire. The flight takes place at 11 a.m. and regular Zoo admission applies. Click here for details. Daddy & Daughter Valentine Dance at Jess Odom Community Center: Dads, it's time time get dressed up with your little princess and head to a Valentine's Day dance. Light refreshments will be served and photographs will be available for purchase from Picture This Portrait Gallery. Enjoy entertainment provided by Best Little Rock DJs! Purchase tickets at the Community Center. The fun goes from 6:30-8 p.m. Click here for details. Rhea Lana's Consignment Event in Little Rock: Discount shoppers, get your shopping bags ready. Rhea Lana's is a consignment sale offering gently used children's items, maternity clothes, toys and more. Admission and parking are free. The sale is taking place at 2616 S. Shackleford Road (formerly Gordman's) from 11 a.m.-7 p.m. Visit Rhea Lana's website for more information. FREE! Winter Discovery Lake Cruise at Pinnacle Mountain State Park: Discover Lake Maumelle as it springs to life in the middle of winter! A park interpreter will guide the way in a search for critters of all kinds that spend the winter around the lake, hopefully even a few bald eagles. Dress in layers for cold and windy lake weather. Meet at the Jolly Rogers Marina at 1 p.m. or 3 p.m. Call 501-868-5806 to register and pay in advance: $15 for adults and $8 for children ages 6-12. Super Bowl Watch Party at Big Rock Mini Golf & Fun Park: Play games, eat food and enjoy the sporting event of the season with the whole family! Play on arcade games, compete in mini golf, race around the go kart track and more. Call the park at 501-455-3750 for more details. Ice Cream Brunch at At the Corner: The third annual Ice Cream Brunch is this weekend, featuring Loblolly Creamery ice cream. From ice cream poutine to fried green tomatoes, from wings to waffle bowls and French toast to ice cream cake crepes, celebrating National Ice Cream For Breakfast Day never tasted so good. Brunch is served 8:30 a.m.-2 p.m. Saturday and 10 a.m.-2 p.m. Sunday. Click here for details.